The RDX A4 Professional Boxing are essential for taking your sparring sessions to the next level. High quality and high performance, these gloves have been specially designed for sparring and excel in the ring. The A4 Gloves are comprised from authentic cowhide leather to give them an outer shell which is built to last. Inside is a thick layer of shock absorbent foam padding which provides a barrage of impact breaking hand protection. The padding extends to the thumb and wrists to give outstanding all round protection especially when in defensive positions, perfect for sparring without hand injury. Designed for Sparring - High quality and high performance, these gloves have been specially designed for sparring and excel in the ring. Durable - The A4 Gloves are comprised from authentic cowhide leather to give them an outer shell which is built to last. Shock Absorbent - Inside is a thick layer of shock absorbent foam padding which provides a barrage of impact breaking hand protection. 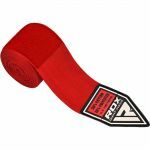 Highly Protective - The padding extends to the thumb and wrists to give outstanding all round protection especially when in defensive positions, perfect for sparring without hand injury. 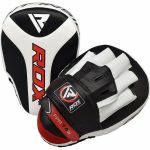 Who are the RDX A4 Professional Boxing Gloves For? Sparring gloves don’t get much better than the RDX A4 Professional Boxing Gloves. 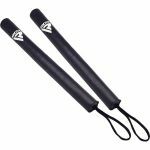 Because they have been specially designed for sparring you know they can be trusted to take your sessions to the next level.